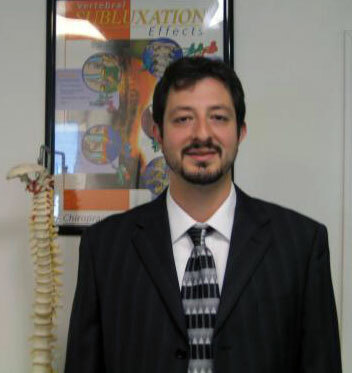 Dr. Anthony Milano is a 2004 graduate of Sherman College of Straight Chiropractic in Spartanburg, SC. He did his undergraduate studies at the University of Connecticut. Dr. Milano has completed course studies in chiropractic for geriatric patients, pediatric care, and Activator Methods. Dr. Anthony Milano has one specific goal as his practice objective. That is to offer his patients a healthier and better way of life. This is done through subluxation based chiropractic care. Dr. Milano recognizes subluxation of the spine as an interference in our bodies ability to self heal and achieve wellness. While most patients that enter a chiropractic office are concened with their present symptoms, Dr. Milano prides himself at examining the spine as a whole. While wellness is a health objective for all people, it is the reason Dr. Milano practices chiropractic. A healthy spine is an important step in obtaining optimal health and wellness. Dr. Milano is a Board Certified Chiropractor in the State of Connecticut. He is a member of the West Haven, and Orange Chamber of Commerce. He is a member of the Connecticut Chiropractic Association. Leliape Castalla holds a bachelor degree in computer science and has trained as a certified nursing assistant. She works as the office manager dealing with the daily tasks around the office. She handles all appointment scheduling, and insurance billing for the patients so they can concentrate on getting well. She has a passion to help people and assists the doctor with applying therapies to patients. 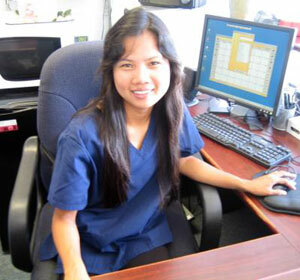 She is a dedicated member of the office and always strives to make sure the patients are relaxed and comfortable.